Arizona State beat St. John's, 74-65, on Wednesday night in the First Four in Dayton, Ohio, to officially set up the matchup that University at Buffalo fans have been looking forward to since the NCAA Tournament brackets were announced Sunday. 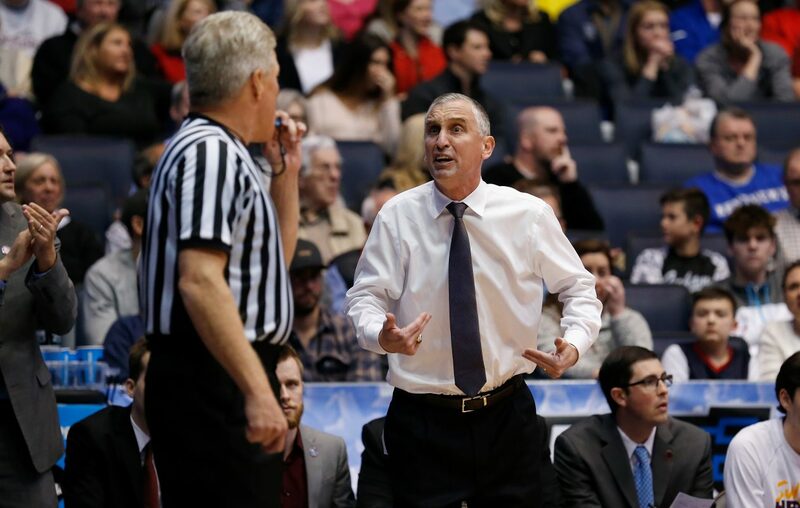 Former UB coach Bobby Hurley and the Sun Devils face the Bulls on Friday in Tulsa, Okla.
Hurley was the one who brought Nate Oats to UB and advocated for Oats to replace him when he left for Arizona State. The victory was Arizona State's first postseason win since 2009. "I have so much love and enjoyed those years so much and felt so proud of what Nate's doing so it’s going to be a little surreal you know I haven’t had a chance to allow that to register I was just fighting for my life to get this win. "And I haven't really had time to think about how I'm going to feel on Friday. But Nate and I speak, and we both agreed that we're really good friends, and we both helped each other tremendously in our careers, but that's probably not going to matter a whole lot on Friday. "We have a tendency to watch our teams more when we can, and we're both really busy with our own seasons. ... I try to watch Buffalo when I can and root for him. "But there are some elements of offense that I did at Buffalo with Nate and there are a lot of other things I've done since I've gotten here. So there's been some change in what we do at that end of the floor. I just know for sure watching Nate Oats teams, they take on his character and his personality by how hard-nosed he is and how fiery he is. And his kids play extremely hard and they have a chip on their shoulder. The whole mid-major thing, I think they're tired of that. So it's going to be a heck of a game."